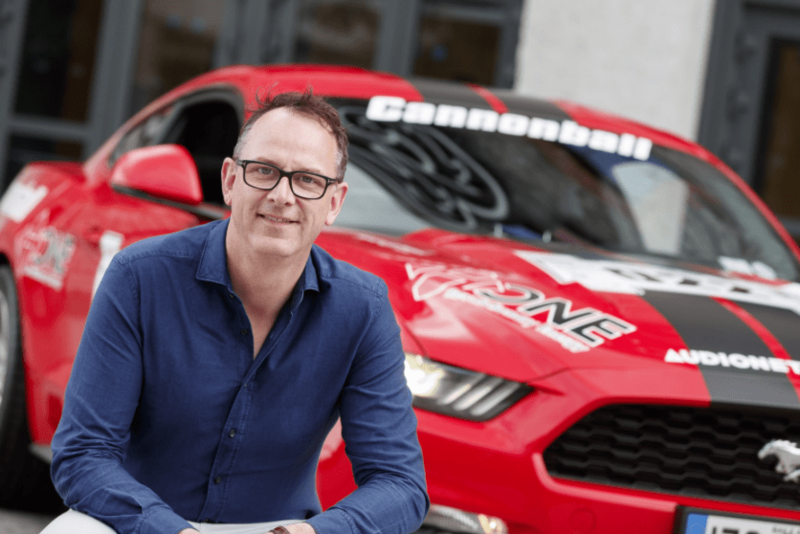 Cannonball Ireland, with headquarters in Naas, Co Kildare received three top nominations at this year’s National Sponsorship Awards at the Burlington Clayton Hotel in Dublin 4. The annual supercar event set up in 2009 is the largest organised road trip in Europe and founder Alan Bannon and his team were delighted to be selected in the categories of ‘Best Use of Experiential Marketing’, ‘Best Entertainment Event’ and ‘Best Sponsorship Team’. The Irish Sponsorship Awards has established itself as the benchmark for sponsorship excellence in Ireland. The 22 award categories reflect the leadership, talent, dedication and innovation required to deliver world-class execution across all of the key discipline areas of the sector. Cannonball Ireland has been in existence since 2009 and the widely anticipated annual supercar event takes place every September with 190 of the finest cars on the planet, 3 action packed days of adrenaline fueled adventure, free family festivals all over the country, a network of 450 like-minded Cannonballers and celebrities, almost €1,000,000 raised for charities to date, live music, aerobatic displays and the awesome sight of over 180,000 spectators waving chequered flags in a frenzy of anticipation. It is Cannonball, it is epic, it is bold, it is beautiful and this is a supercharged year for this highly motivated and passionate team. The Cannonball team pool their talents and resources to brainstorm the very best sponsorship opportunities and activation plans. Visually arresting sponsorship proposals are designed and written to set this event apart from any other sponsorship property. When each sponsor is signed up, they are then delegated to a member of the Cannonball team who make sure that every promise is delivered that expectations are exceeded. Over 400 people attended the black-tie award ceremony at the Burlington Clayton Hotel in competition for one of only 22 awards presented. The Master of Ceremonies was the inimitable Colm O Regan and celebrations went on into the early hours with live music and entertainment.